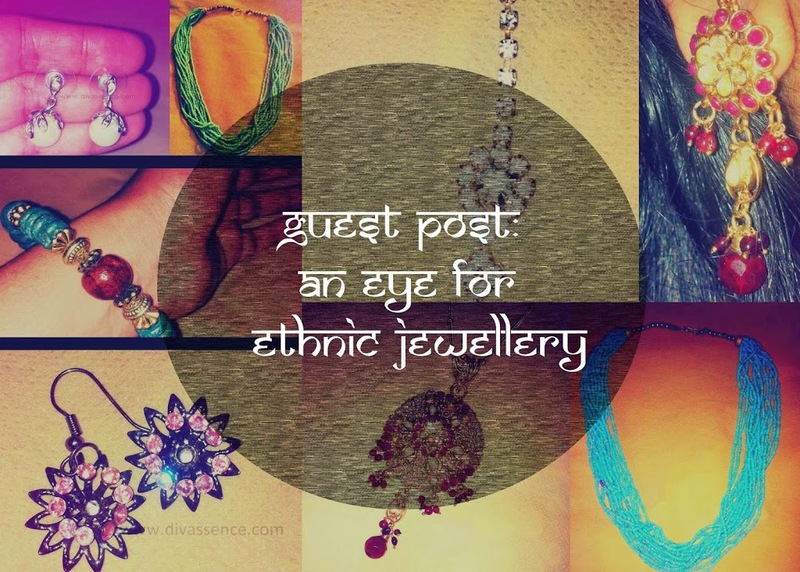 Guest Post: The Jhumka Diaries: An Eye for Ethnic Jewellery! - Divassence! By Praseena (Coral Crue)I am so excited to be writing for Divassence!. It’s an absolute favourite blog of mine. I love Deepika’s eye for spotting and featuring great pieces of jewellery. I would like to showcase some of the pieces I have been using of late. Not all of it is daily wear. There was a point in my life where I used to forget to accessorize. Everything was so rushed up until finally I installed a bangle stand and some accessory holding pockets in my dressing cabinet. From then on, there’s no looking back. I’ve been busy buying, collecting and wearing whatever I get. It’s a great perk to any outfit and a really easy way to be effortlessly stylish. These are a pair of occasion wear earrings I recently picked up. and the exquisite use of red ruby like stones. 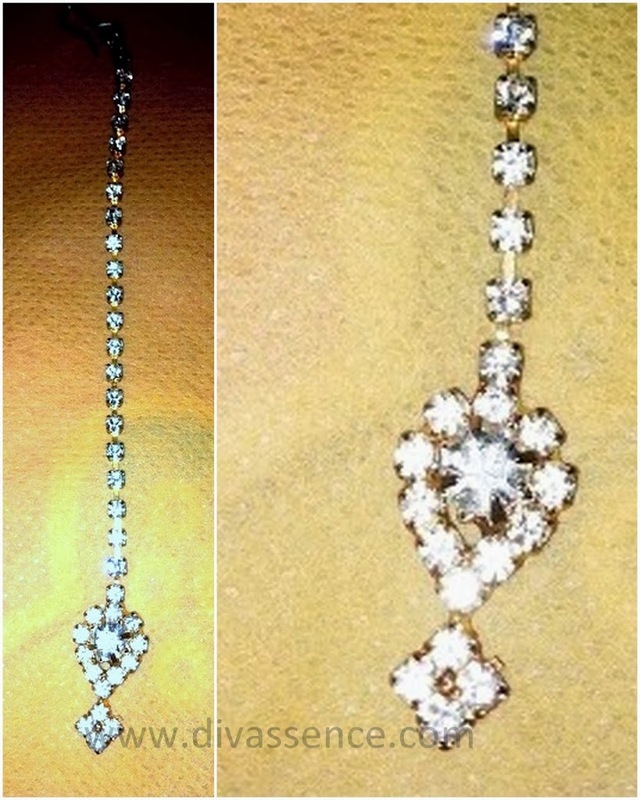 The flower in the centre is offset by kundan stones. Kundan was very popular in the 90’s. It adorned all kinds of sets used in those days and remains an ever popular choice even today. The tear drop portion of the earring is filled in with pearl and tiny gold beads are secured at the end of each red ball. 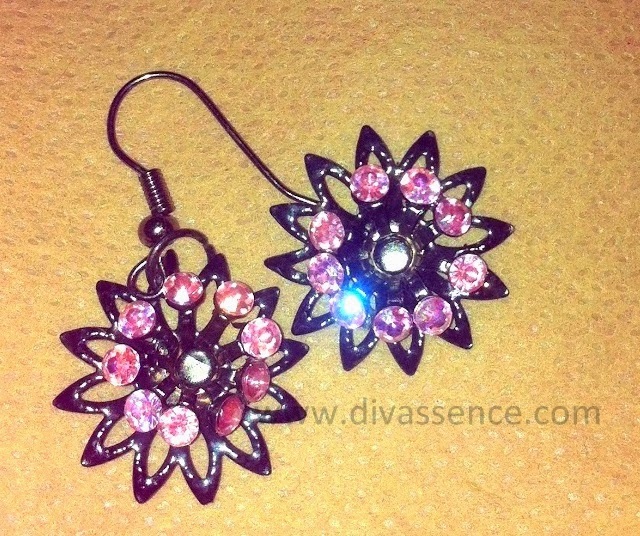 You can wear this pair of earrings on it’s own on a traditional suit or with a tee and flowy long skirt. It will look very feminine. This next piece is the chain and pendant that belongs to this above set. 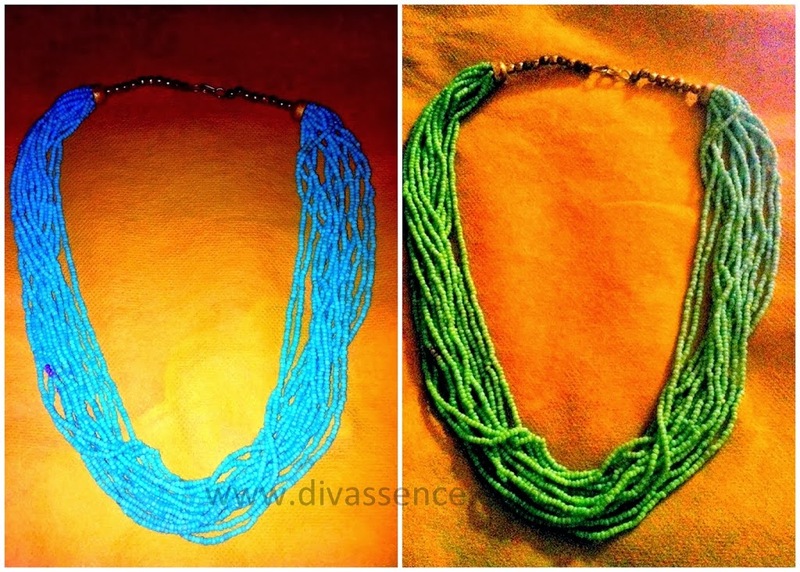 I chose to buy the whole set as each piece could be worn individually depending on the mood and requirement. The chain is a very simple string dotted with gold beads interspersed uniformly along the chain. heavily worked with intricate layers of gold spun around a circular focal flower. Again there is plenty of stones used to design the pendant. Ruby coloured stones, glass beads, kundan and pearl is placed in a uniform manner. I really love this piece very much. You may also like reading: Saarisha: My online jewellery store! 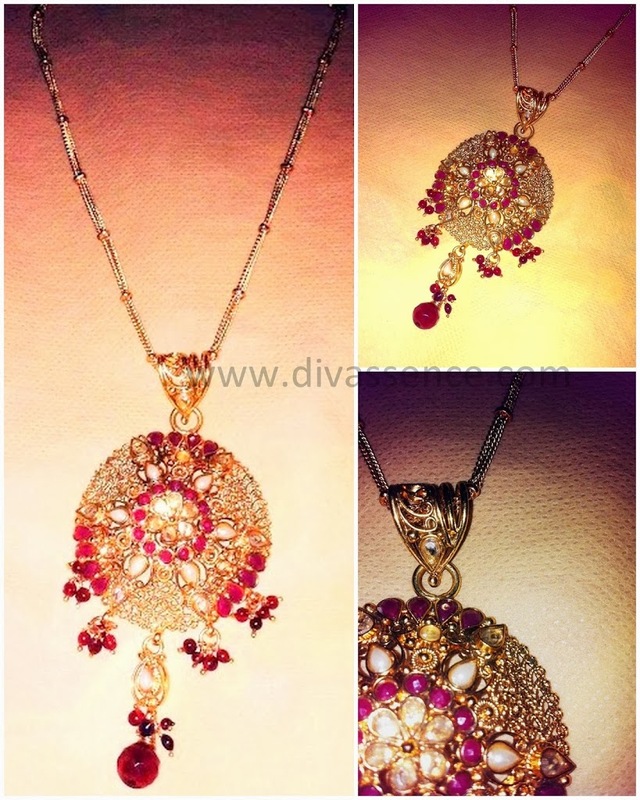 This is a simple yet elegant maang tikka which you can wear at engagements and weddings. It is made up of American diamonds and doesn’t look like a huge rock on your head. 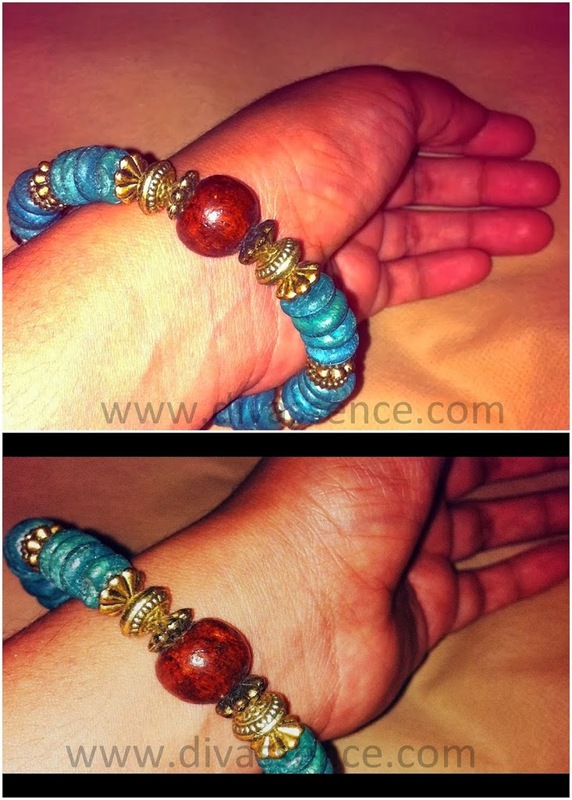 This is a simple bracelet made of turquoise coloured, metal and wooden beads. It goes well with both traditional and modern outfits. I do have an affinity towards turquoise shades as several pieces I own have this colour. I think I picked up the liking for it from an aunt. She used to wear turquoise a lot. 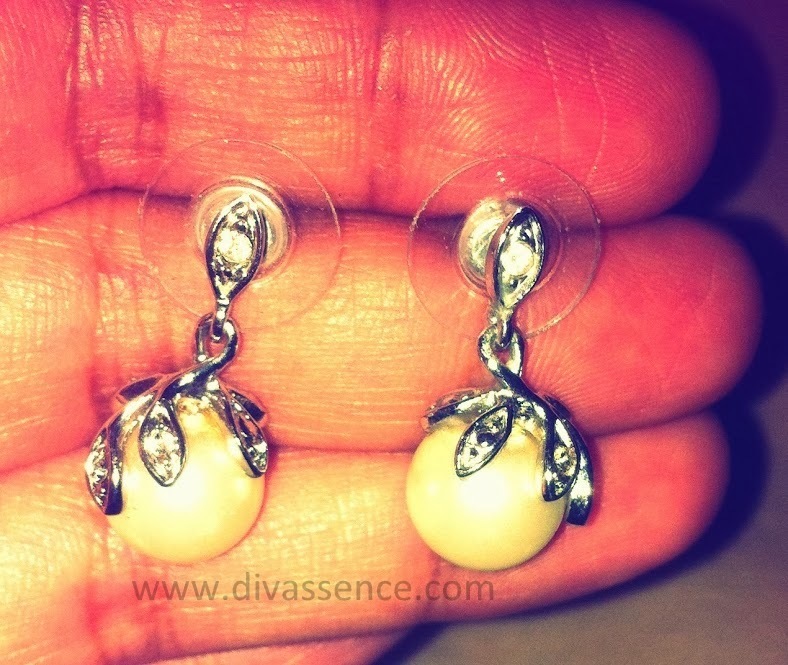 The pearl earrings I purchased recently as I wanted to wear something in pearl for formal wear. I think they are quite elegant. Hope you all enjoyed my instalment on The Jhumka Diaries. 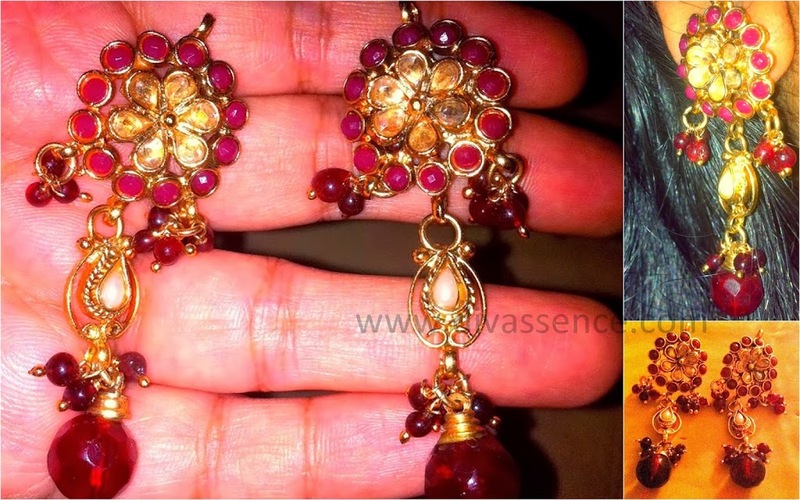 The Jhumka Diaries: Dupatta Mania! A moment ago Done with THIS BLOG… Got a wonderful idea From this blog to buy Jewelry For My Her.